Hey Bro I’ve been struggling on whether or not I should quit brewing with some of my co-workers, since a door has been opened for me to become a leader in the ministry that I’m a part of. Your blog shed some light on something’s that were unknown to me and I thank you but I still got some questions. The guys I brew with smoke pot, and I keep on debating if I’m being a witness of any sort to them or if I would be a bigger witness if I quit. It’s so hard for me, especially since I’m a hop head, and we brew over the top tasty and bold beer. Honestly I do feel it would be better if I quit since my bro is an alcoholic, but I’m torn and I need all the advice I can get. I guess I should first point out that I'm an atheist. After that, you come to different religion's perspectives on alcohol. Southern Baptists are completely against it, in fact they didn't allow anyone to attend the SBC if they consumed any alcohol. They use grape juice during services. There are other "strict" religions, but the SBC is one of the more famous. At the other end (kindof) you have Catholics who use wine in each service. Several of the knights of columbus halls have liquor licenses. So it runs the gamut from teetotalers to people who can sell liquor. Drunkards will not inherit the kingdom of God. Now, if you watch the Way of the Master series, Ray Comfort will say that if you've ever done something you are that thing. (If you've ever lied, you are a liar; therefore if you've ever been drunk, you are a drunkard). But to me, that isn't the case. In my opinion, it all deals with labels. When people talk to you, what is it that you are defined as. Do they say, you are a glutton? Do they say you are a drunkard? Do they say you are a christian? If you are a christian, then the first thing people should know about you is that. Appearance is a big thing. Can a man be a christian and enjoy a beer? I think so. My final thought is on sin. As a child I was taught that sinning is doing wrong, when you know to do right. But that may not necessarily be correct. It is as simple as not doing the right thing. If you THINK that what you are doing is the wrong thing, then it is. If you don't think what you are doing is wrong, then it isn't. 1. Christian religions have "branches" that go from teetotaler to nearly drunk. 2. A lot of it deals with the definition of who you are. What are you labeled as (one can be a person who loves beer and not a drunkard). 3. Do you think it's wrong. That being said, I'd keep clear of gatherings that involve illegal substances. Not just because you’re a Christian, but also because it’s the law. If your friends want to do that kind of stuff, that’s their business, but do the really need to do it around you if it bothers you? Have you asked them to stop? Would your buddies refrain from the weed at these gatherings if you asked them to? 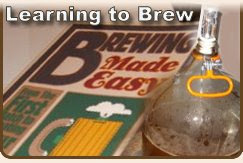 If you feel that home brewing will hurt others, it maybe a good idea to stop. Or just stop doing it with your alcoholic buddy. Maybe you need new brew buddies. 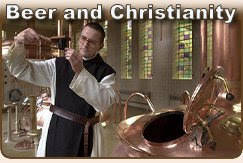 Ever thought about starting your own home brewing ministry? My thought is, brewing beer is a great hobby, but it also comes with a need to be responsible. 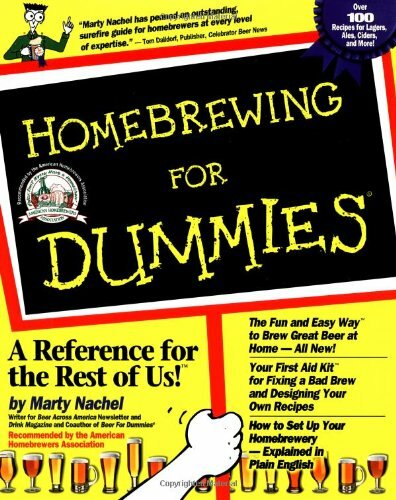 If you can't appreciate the beer you make, by drinking it responsibly, you shouldn't home brew. That's something your friend should keep in mind, and something you should be mindful of as well. If you know he has a weakness, don’t tempt him, plain and simple. And frankly its good advice for a Christian or a non-Christian. vgrid, I'll get you a response some time tomorrow, thanks! Thanks for the comment back. 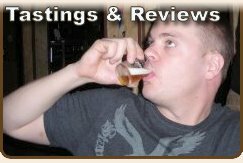 Just to be clear, I'm not a part of RiverBrew I just found the site online. 1. You said, "Christian religions have ‘branches’ that go from teetotaler to nearly drunk." This is true, but I think many Christians are missing out and really don't need to. Alcohol is a gift from God, meant to be enjoyed responsibly. That being said, some folks should probably just stay clear of alcohol, because they can't handle it. The same could be said for anyone of any faith or lack there of. Good advice for Christians and Atheist alike. 2. You said, "A lot of it deals with the definition of who you are. What are you labeled as (one can be a person who loves beer and not a drunkard)." Agreed, a drunkard, in my book, is someone who has a problem with alcohol, who drinks to get drunk, etc. But even getting drunk once is a sin, so it should be avoided. That being said, I'm not perfect, sometimes I eat too much at the buffet too. And gluttony is also a sin. The issue here is doing your best to avoid a sinful life. If you have a big problem with temptation, then you should avoid it. As a Christian, you should strive to be Christ-like, but all of us will fall short, we all sin. 3. You said, "Do you think it's wrong," implying an action is a sin, if you think it’s a sin. A sin isn't a sin, just because the individual thinks it is, at least not in my book. As a Christian, I think the less added or removed from scripture the better when using the Bible as a guide. So, I take what the Bible says, more or less at face value. Therefore, getting drunk is a sin, according to the Bible. But I think choosing to live a life of regular drunkenness is an even bigger sin. Again, we will ALL fall short when striving to be Christ-like, but we should continue to strive none the less. If you struggle regularly with a particular sin, you should avoid the temptation. For some, that would mean avoid beer. Vgrid, I really appreciate your comment and insight. Its refreshing to hear an Atheist comment on my faith without insulting me. You seem like you’re pretty well versed for an Atheist, are you a prior man of faith? Thanks agin, and hey, stay in touch! 1. Moderation truly is the key. My family is primarily baptist (ranging from southern to american)The southerns are teetotalers (my mom won't even let beer inside her house). She gives alcohol way too much power. Her disdain for it has turned it into an idol. If it's mere presence can make her less of a christian, than that thing is more powerful than god. My father (they are divorced) is much less strict; he may not consume beer (or he just has one every now and then) but he doesn't run from it like it's the plague. He hasn't made it stronger than god. 2. I'm not sure if getting drunk, is a sin. Getting drunk and staying drunk routinely definitely would/could be. But going to a wedding and having one too many surely isn't. Like in the above #1, the problem is not drunkenness, the problem is idolatry. If alcohol has replaced god in your life, then that is the problem. When you suppress something so much that it becomes a negative influence (like saying one should never under any circumstances get drunk)then it's more than a sin, its a problem that will affect your life, even if you aren't a christian. 3. Striving to be christ-like isn't that hard to do. Modern christianity tries to make it out to be hard, but it isn't. If you know something is wrong, don't do it. Additionally, remember what one of Jesus major themes was, while he was technically for the old law. He wasn't for the strict adherence of the law. His major role (other than the whole dieing for your sins) was to get people to WANT to follow the law (which shows their love for the LORD). When people joylessly followed the law it became an idol. Why did Jesus overturn the tables in the church? It didn't really bother him that people were actually buying their sacrifices there, the problem was that it meant nothing to the people. The sacrifice wasn't a SACRIFICE, it was going through the motions. They did it because that's what they do, not because they loved the LORD. So the thing is, are you not getting drunk because you believe it to be a sin and want to follow the law? Or are not doing it because you love the lord and want to do his will? And I agree… And yes, it does sound like your Mom goes a bit too far… Unless she has a problem with addiction, then her actions would be sensible (for herself). That being said, we all can tell when someone has had far too many, but one too many can be difficult to determine. This is also where things like drinking and driving accidents often happen. So, the gray area can be dangerous too. Everyone should know their limits, and be safe. Having one too many, would be like over eating at the buffet, not healthy and not the right thing to do, but also not the end of the world. Now if you keep going past that one beer, or if you plow through a whole tray of lasagna, you probably have a real problem. It’s even worse if you do so purposely as a regular part of your life. It’s varying degrees of ‘wrongness’. I would say it’s not hard to try, and most of us can do a pretty good job of being a decent person, but I believe we all would fall short if we were stacked up against Jesus. Bottom line, Jesus was without sin, and none of us are. But that’s OK, none of us are perfect, we just need to do our best. And as you’ve stated, this should be done joyfully, not with misery out of obligation. He wants us to do our best to follow the laws/rules, not out of obligation but out of our own will. We are going to mess up, make mistakes, occasionally fail to do what’s right, but that’s OK. That’s the way of the world. This is something many people of faith forget when they judge others, and fail to see this same imperfection in their own lives. There is nothing wrong with Christians drinking beer. The bible is a spiritual book with hidden wisdom contained therein. Many do not understand it therefore they believe one must follow certain rules in the flesh in order to be saved. However, we are saved by grace through faith, not of our own works of righteousness in the flesh. This is a debate that has been going on for a long time. The Baptist church is definitely against drinking in any form, but most other denominations seem to be more open to alcohol consumption. I always drink in moderation and don't try to get wasted. Thanks for linking to my essay "Alcohol and the Bible" that I wrote in 1996 under a pen name. I'm working on an updated and expanded version to be released on the Kindle and other ereaders. I'd love to get your feedback on the 21-page pre-publication draft. If you're interested, drop me an email at: comments [at] fredtexas [dot] com. As a pastor and soon to be home brewer, I appreciate this series. I lived six years in Germany and learned to savor a good glass of beer. The key, as you point out, is moderation. To God be the Glory my friend. Thank you for your insightful articles.